For the functionality behind the car, Hyundai partnered with “The Walking Dead” creator, Robert Kirkman. If you haven’t heard of the series, it is set in a world after the “Zombie Apocalypse” takes place. 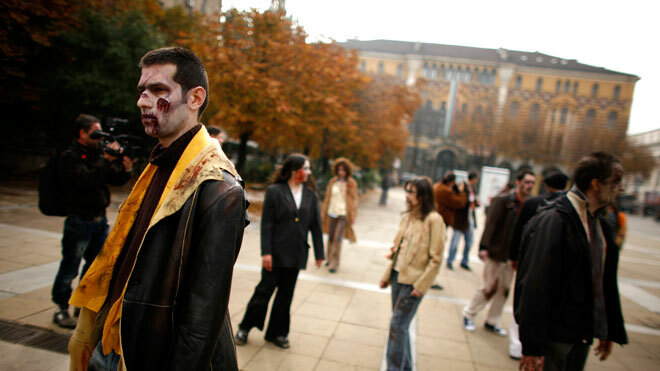 As a zombie expert, Kirkman advised the creators of the car on how to survive in a world of walkers, or zombies. Featuring a spiked plow in the front, armored windows, spiked tires and extra lighting for night travel, this car is ready to withstand any potential threat from a zombie. While any owner of this particular model of the Hyundai Elantra will be more than prepared for the “Zombie Apocalypse”, you’ll still need to register your current car. We can help you with everything, from getting your title transferred to your first driver’s license.